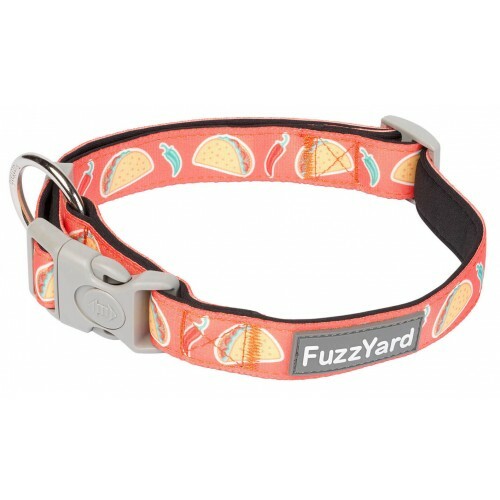 Tacos are no longer just for Tuesdays, but now your dog can wear them every day and we can taco bout how good they look! 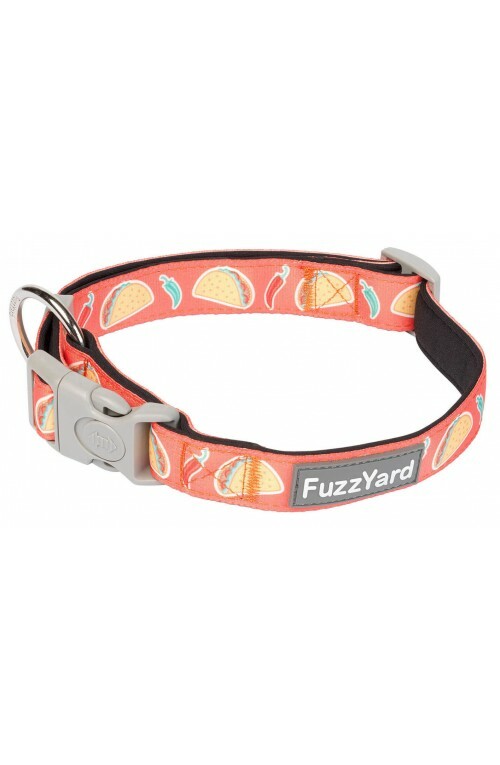 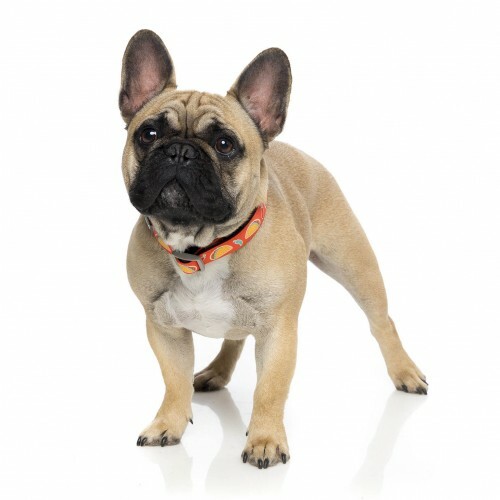 This collar has a sturdy die-cast attachment ring and thick cushioned webbing for durability and a comfortable fit. 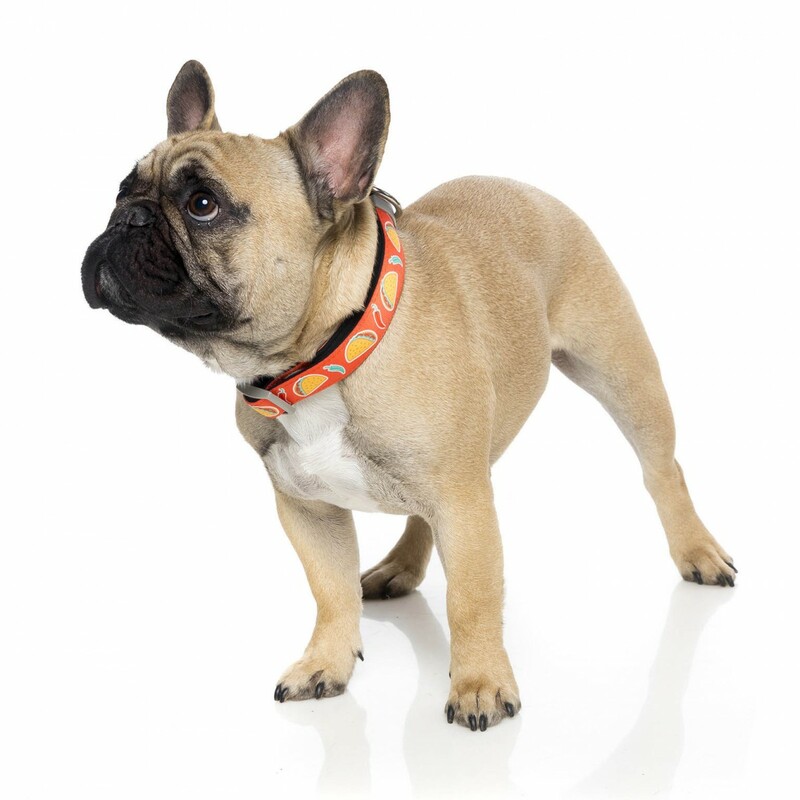 Complete the look by matching with a Hey Esse dog lead.